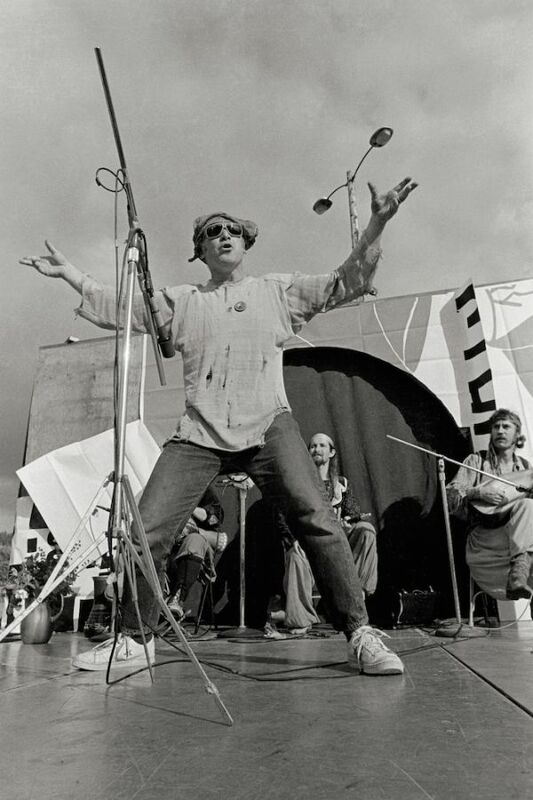 It started simply. In the wake of her husband’s death in 2008, Nancy Woodke decided it was time to get her golf game back. 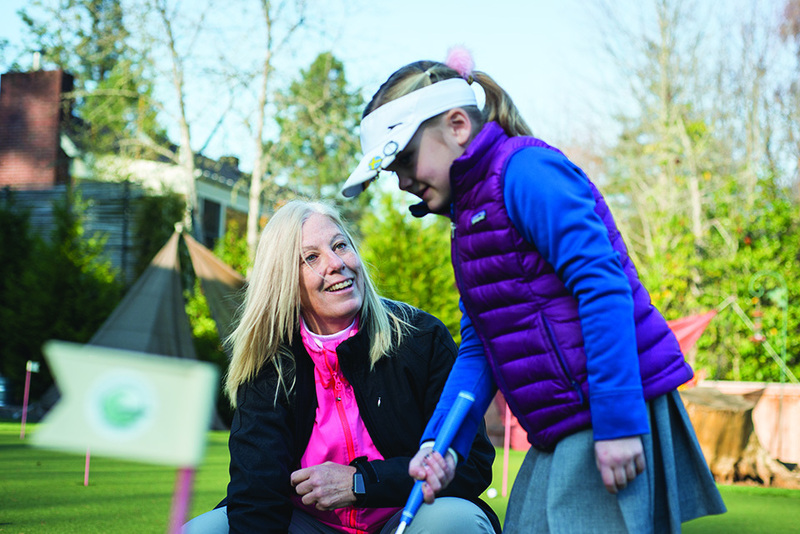 The standout high school and college golfer called on Debby King, who has been the general manager and head golf pro at Laurelwood Golf Course in Eugene since 2008. Since then, King and Woodke have started their own golf school, competed in dozens of tournaments and done their part to end golf’s boys club reputation. 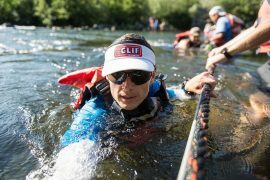 The sport is not new to these women. King started playing golf while at a swim practice at age 16—not much interested in swimming, she saw a group hitting golf balls, put a towel around herself and took her first golf swing in a bathing suit. I knew that was what I wanted to do from day one. I wanted to be a golf pro. 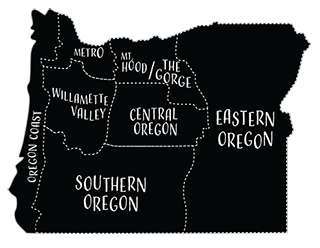 Woodke grew up in the area, and remains a kindergarten teacher in the Eugene School District. 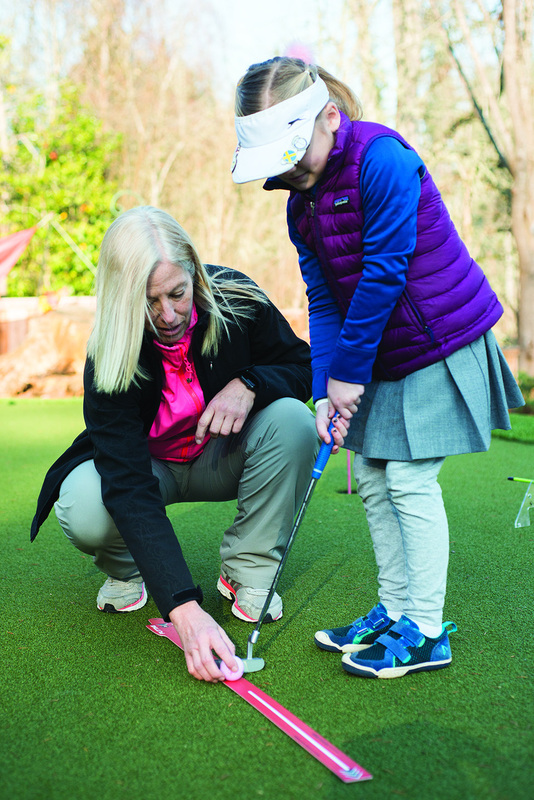 When, after raising a family and spending a couple decades away from the links, she returned to the sport, it wasn’t easy. 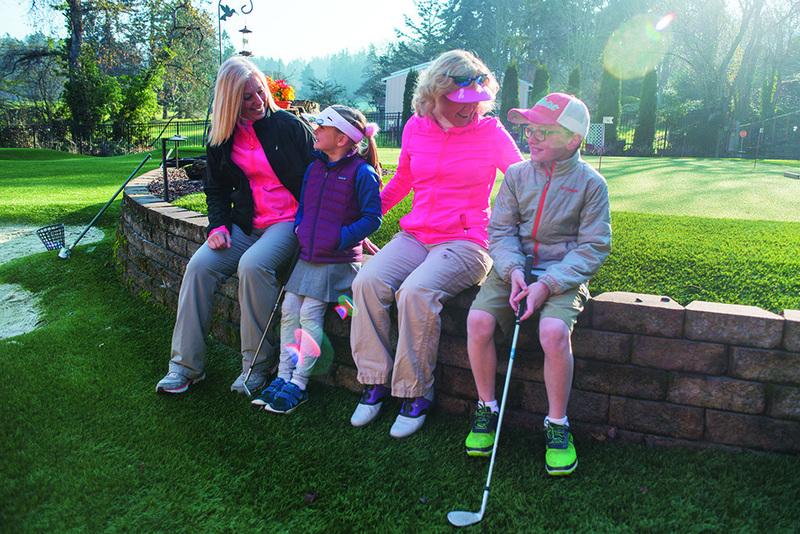 After moving to Eugene in the mid-2000s to be near her ailing parents, King discovered Laurelwood Golf Course and networked her way into a job, eventually taking over as the general manager and head golf pro. For the first seven months King was at the course, she said, she never saw another woman or children. Today there are more than 200 kids taking lessons there. 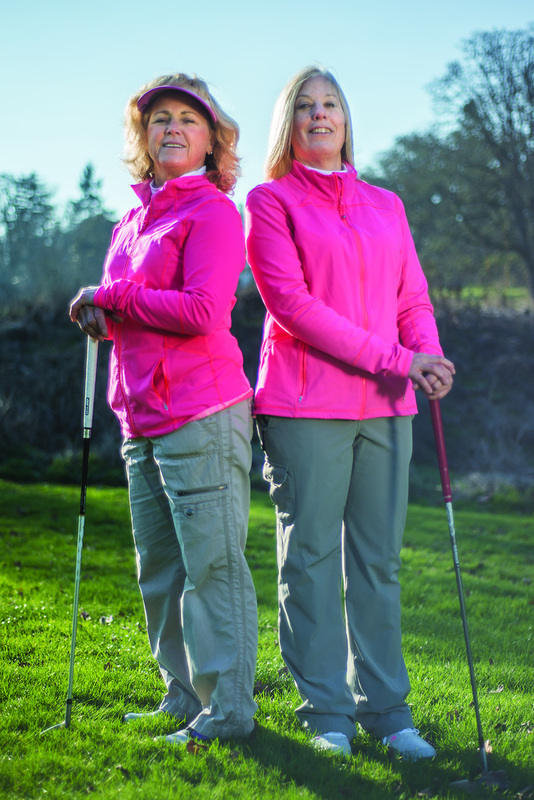 But while they were already breaking ground as one of the few clubs in the state with two female golf pros, the pair wasn’t finished. 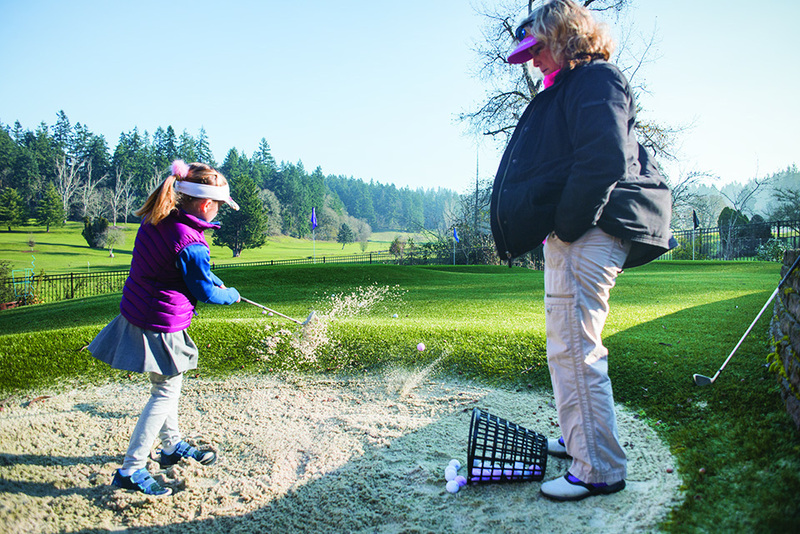 They purchased a property adjacent to Laurelwood and built Kingdom of Golf out of the home—complete with a backyard putting green, bunkers and target greens. The duo lives upstairs. 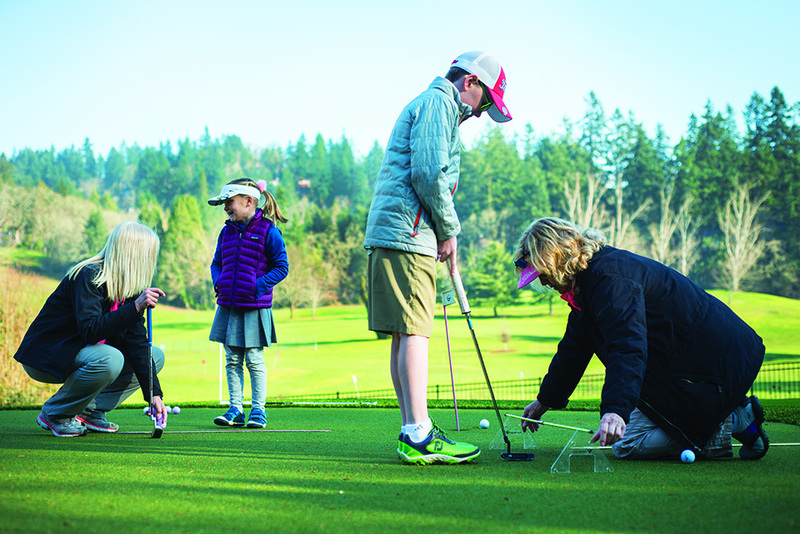 The golf school offers private lessons and group packages, in which visitors from all over the country stay in the downstairs area of the home, receive instruction, play courses and sometimes even hit up a Ducks football game. King still competes, usually in about a dozen tournaments and pro-ams each year. “I want to keep my competitive edge,” she said. But that’s not the only way the duo keeps fit. 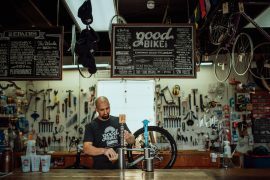 They do CrossFit, a competitive interval and strength-training program. Kingdom of Golf’s downstairs includes a golf studio with workout equipment designed to help students learn golf-specific CrossFit workouts. And at the end of the day, just golfing the hilly, nine-hole Laurelwood course is a workout in itself. Cross-Fit 3 times a week, including golf specific exercises and general conditioning. Life is short; watching my family members die of cancer right in a row inspires me to be healthy, enjoy life and find a fun way to make a living. From the time I was 12 years old fitness has been a part of my daily routine: running, core work, strength and flexibility. It was part of what I did to improve as a competitive golfer; it was my sanity break as a mom. A year ago I had a health issue interrupt my fitness lifestyle and I had to take a break. I am just now working back into light workouts up to 5 days a week: cardio (usually elliptical), light weights, core work, stretching and flexibility. I eat a balanced diet with emphasis on maintaining a steady level of energy. +Occational dark chocolate, otherwise no candy and no chips. An intense desire to be my best “right now.” It looks different from day to day, year to year, even moment to moment, but a focus on doing my best and instilling that in my students is my driving force.